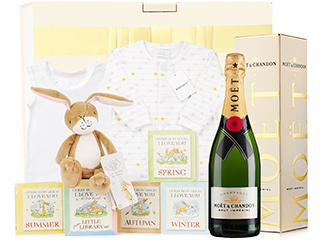 The most special of occasions, the most joyous of times. 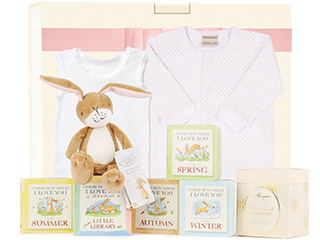 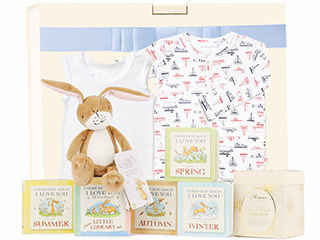 Help them celebrate with a gift of joy by sending Austalia's most beautiful baby gift hampers. 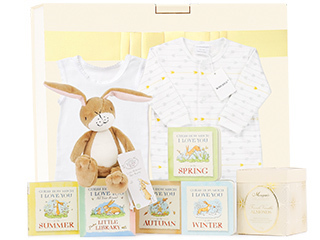 Our newborn hampers have been expertly designed to include something special for baby, and for the new parents with an exclusive range of baby girl hampers, baby boy hampers and gender-neutral hamper options available. 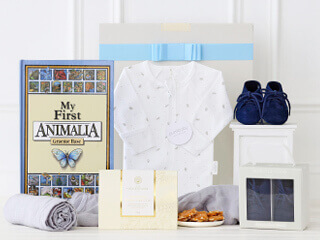 Welcoming a precious new baby into the world is a time filled with joy and every new baby deserves only the best start in life, which is why our hampers are packed full of quality. 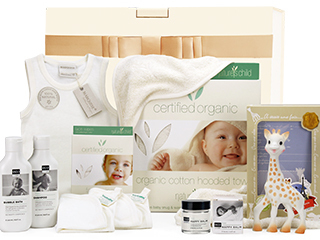 We've sourced the world's best baby skincare brands, including organic options to ensure that baby's skin is nurtured and nourished without nasties. 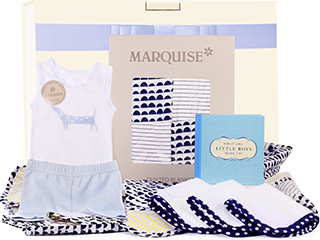 We've got world-class children's wear brands, the finest in organic cotton baby clothing, and a range of amazing toys and books that are true childhood favourites. 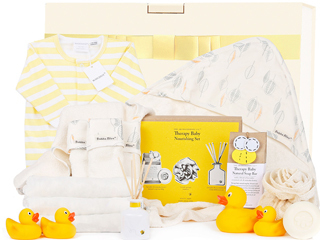 We're so very proud to celebrate baby's arrival and be part of those first early moments, and our entire range includes gender-neutral options that make wonderful baby shower gifts when baby's gender is still unknown. 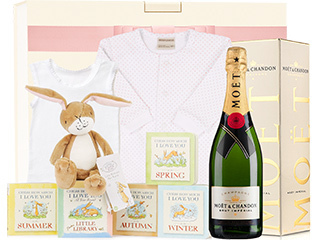 We've also got pink hampers for girls, blue hampers for boys, and hampers for new parents too that include sweet nibbles and champagne to help them celebrate in style. 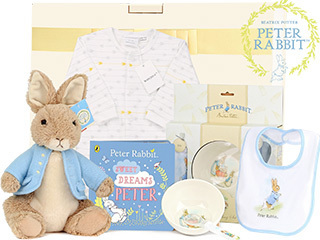 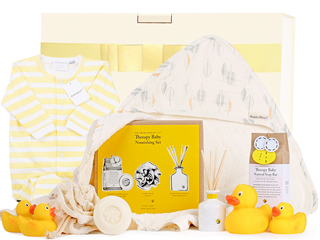 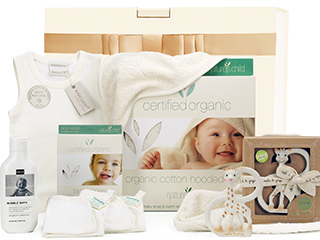 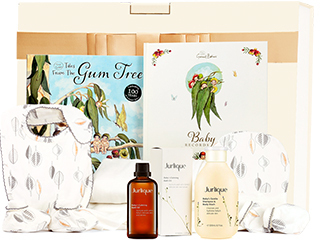 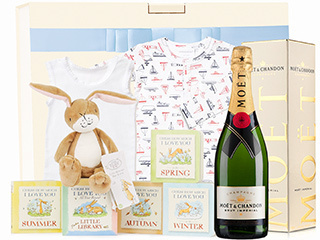 With free delivery Australia-wide, whether it's a friend or family member, when it comes to baby gift boxes with free delivery, our luxury hampers are the perfect choice, because we don't think that any new parent deserves anything but the best.